Mahakosh Recruitment for 932 Posts of Accounting Clerk, Junior Auditor Posts - Apply Online. 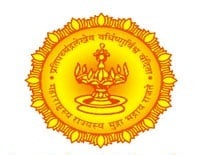 Mahakosh Recruitment/ Mahakosh Bharti 2019 Maharashtra Finance Department Examination Recruitment has released the notification for the recruitment of various posts of Accounting Clerk / Audit Clerk & Junior Accountant / Junior Auditor Posts. The total number of vacancies for recruitment is 932. All the eligible and the interested candidates can apply for the posts and the last date to submit the online application is 29 January 2018. To know more about the exam notification check the information given below. आयु सीमा : न्यूनतम: 18 साल, अधिकतम: 38 वर्ष. ऊपरी आयु सीमा अनुसूचित जाति / अनुसूचित जनजाति 5 साल, अन्य पिछड़ा वर्ग 3 साल, विकलांगों को 10 साल, पूर्व सैनिक को 5 साल.